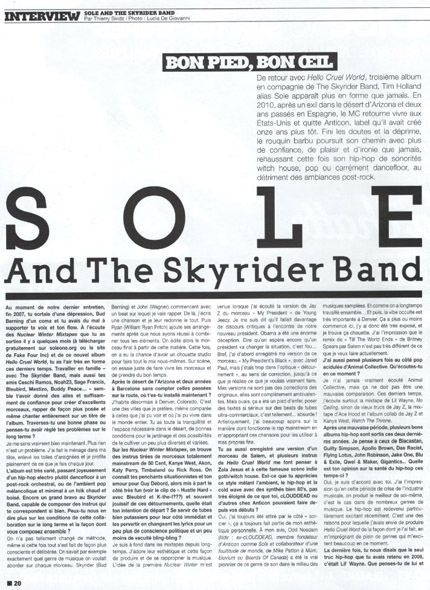 Sole will be on tour in Europe in November. See below the confirmed dates, more dates will be posted shortly! 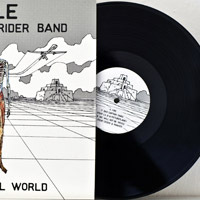 Hello Cruel World Vinyl Out Now! Sole And The Skyrider Band “Immortality” Video Released! 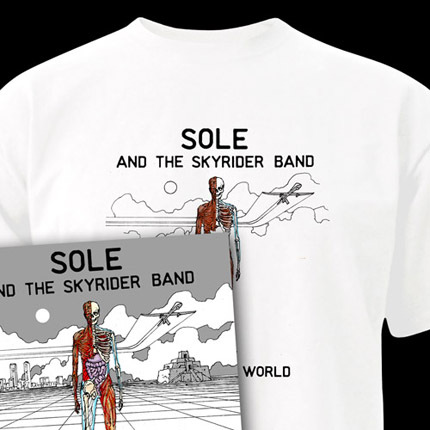 Yesterday, the second video for the new Sole And The Skyrider Band album has been released: “Immortality” is an incredible animation film created by UK sci fi artist Lando from Decadence Comics. Lando has been self publishing comic stories since 2003, using the medium to explore dystopian futures and abstract narratives and “Immortality” was the ideal oppertunity and inspiration to make a story exploring transhumanist ideas and predictions. Hello Cruel World – CD & Shirt Out Now! 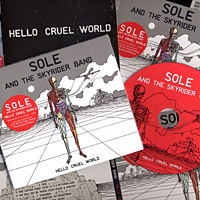 Since today, the new Sole And The Skyrider Band album “Hello Cruel World” is finally available as a beautiful CD Digipak which additionally includes a booklet with all the lyrics! We are happy to be able to ship all pre-orders for the CD as well as the CD bundle package with the shirt tomorrow. Unfortunately, the vinyl release got delayed because of heat problems at the US pressing plant in Texas which slows down the process of producing it. The weather doesn’t seem to be with us these days. 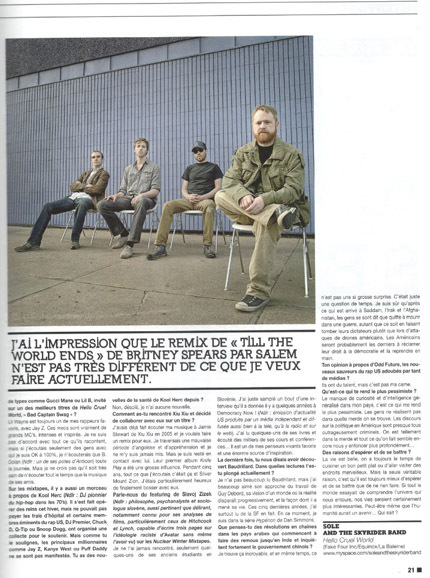 However, be sure to expect a dope looking, fat sounding double LP with a thick gatefold sleeve to arrive in Europe soon! We will keep you updated. Approximate delivery date for the vinyl is now August 22nd. 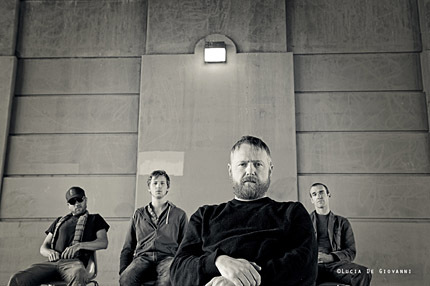 Hello Cruel World – Digital Deluxe Bundle Out Now! 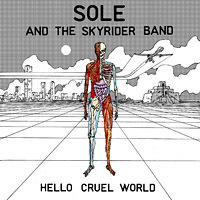 Since today the new Sole And The Skyrider Band album “Hello Cruel World” is available at iTunes and other shops! 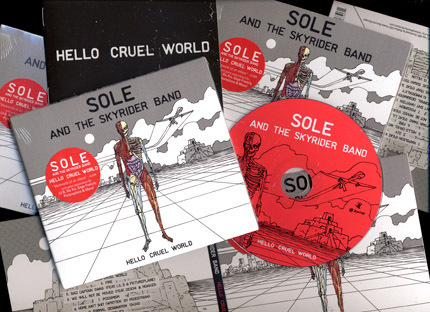 We just started a pre-order deal for the new Sole And The Skyrider Band album “Hello Cruel World” and you can now get the vinyl, cd or digital edition along with a t-shirt. The LP edition is a dope sounding double vinyl copy with gatefold sleeve while the CD comes as a beautiful digipak. 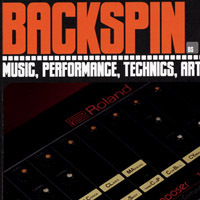 The digital version includes all tracks in 320kbps quality and additionaly includes a pdf booklet with lyrics. So yeah, don’t hesitate to get one of the limited shirts – we may just do a limited run of 50 or 100 copies! 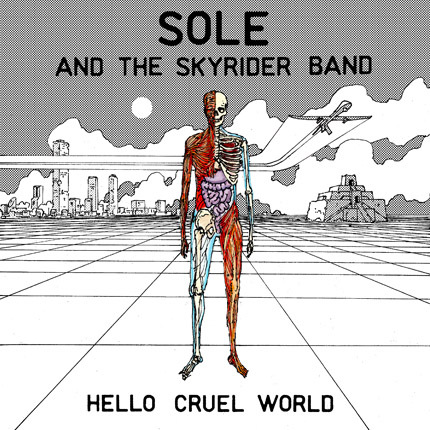 This monday, we are very happy to announce that the new album by Sole And The Skyrider Band, „Hello Cruel World“, will be released on Equinox Records in Europe. Again we have combined forces with the powerful US indie label Fake Four Inc. to ensure the best distribution and promotion for one of the sickest albums that will come out this year. 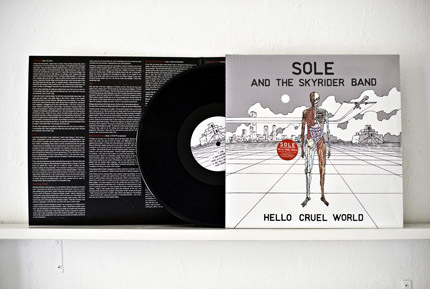 Dropping on July 17, “Hello Cruel World” is Sole’s first full length since the split with anticon, and his third album with the Skyrider Band. 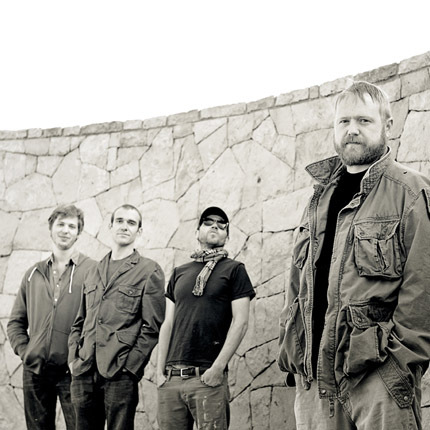 Comprised with a new sound in regard of sole’s rapping as well as the Skyrider Band’s production, the album additionally features great guests that range from Sage Francis and Ceschi to Xiu Xiu and Lil B THEBASEDGOD (! ).